The 395 Cupboard Night Stand with USB Ports by Homelegance at Lindy's Furniture Company in the Hickory, Connelly Springs, Morganton, Lenoir area. Product availability may vary. Contact us for the most current availability on this product. 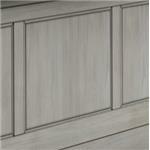 Finish & Paint Options Available in Oak, Antique Sage, Antique Black, Antique Gray, Antique Berry, Antique White. See store for details. Center your bedroom around pieces that embody comfortable casual style with this collection. Features such as USP ports and modular storage drawers have been seamlessly incorporated into these pieces, allowing them to keep up with your modern life. 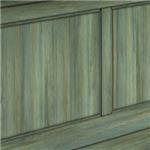 This collection is also available in various finishes, ensuring a perfect fit in your home. The 395 collection is a great option if you are looking for Casual furniture in the Hickory, Connelly Springs, Morganton, Lenoir area. 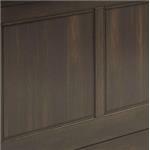 Browse other items in the 395 collection from Lindy's Furniture Company in the Hickory, Connelly Springs, Morganton, Lenoir area.